The business case for developing your website to function on desktops, laptops, tablets and phones is a strong one, especially since Google has announced mobile search results will be influenced by the mobile-friendliness of a website. Just in case you’re wondering whether your website passes the test or not, try it out in this useful Google mobile friendly website checker tool. I’ve run the test on this site and show the result below, it’s really quick and easy to run the test and valuable to know what’s what, even if your site fails. If you get a negative result, don’t panic as there are some easy solutions for the issue, especially if you have a WordPress site. For example, if your theme is ‘responsive’ then it will resize itself according to the user’s device. For other non-responsive, often older themes, you could install a Plugin that would provide the necessary functionality to render the site according to the type of device wishing to access. If you’re really not at all technical and you’re getting a negative result in the Google mobile friendly test, don’t suddenly think you’ll have to get a new website. 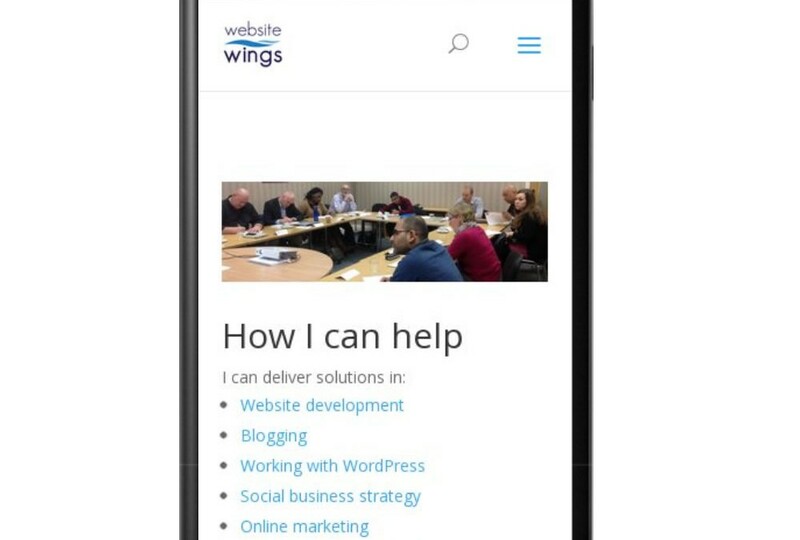 It may be a good idea to start thinking about it, if the project has been on the back-burner for some time, but otherwise get some advice from a your friendly website developer, or contact Website Wings for advice about how to make your website mobile-friendly. If you’ve found this post useful then please consider subscribing to this blog by leaving your email address in the box in the right hand column. That way you’ll receive notification of all new blog posts, nothing else, direct to your email inbox.